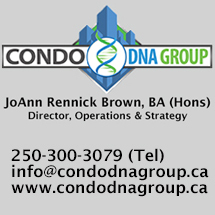 This is the OPPORTUNITY of a LIFETIME! 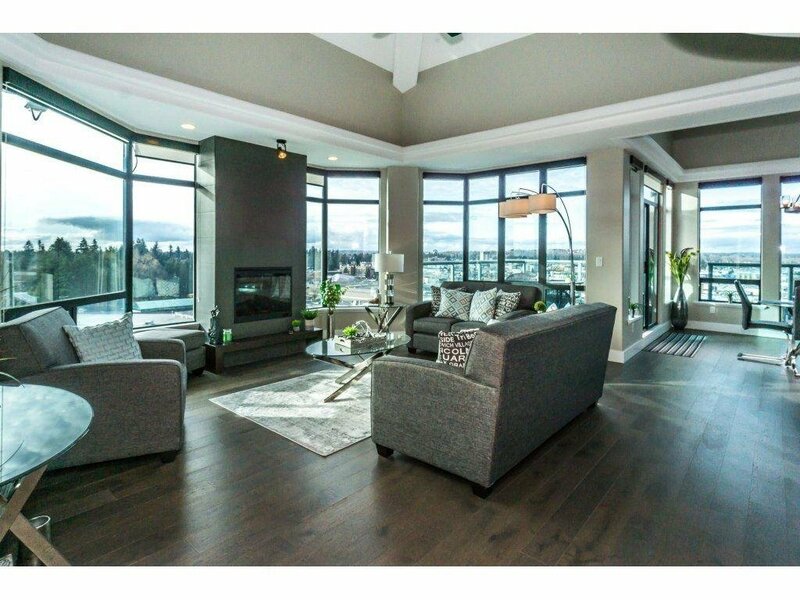 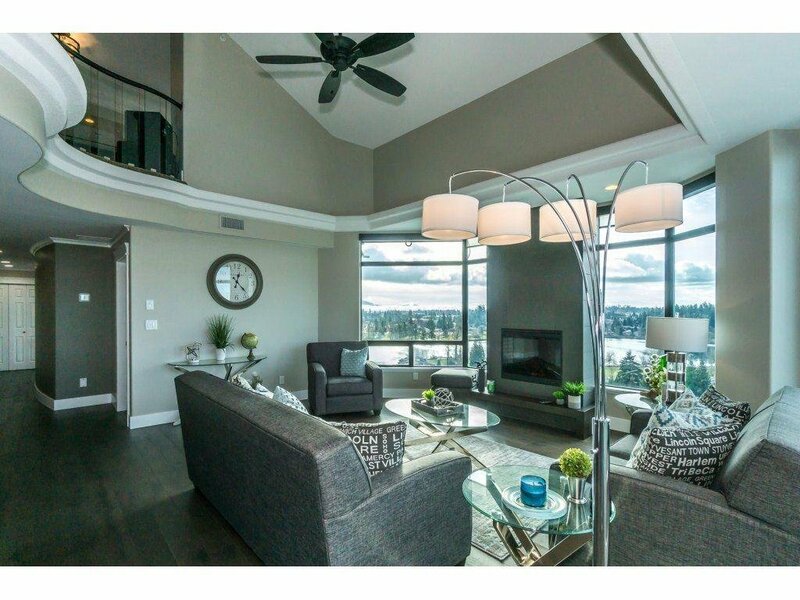 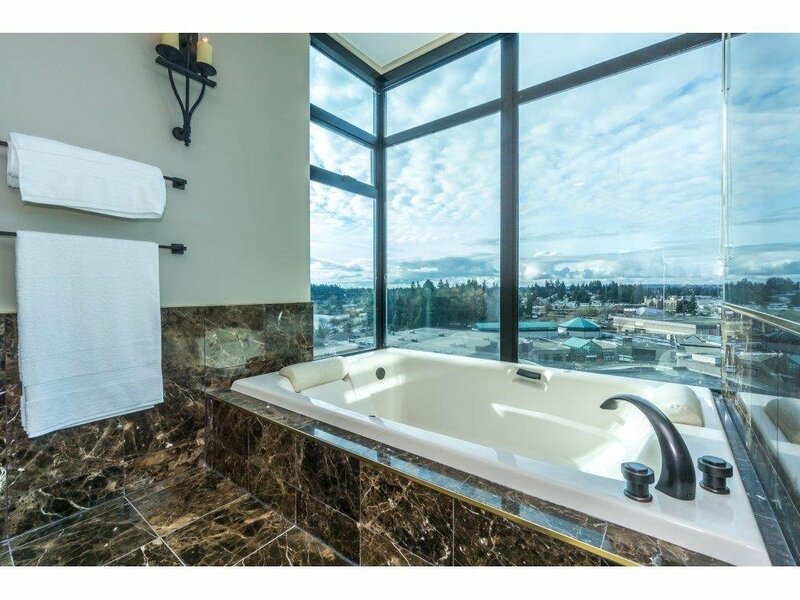 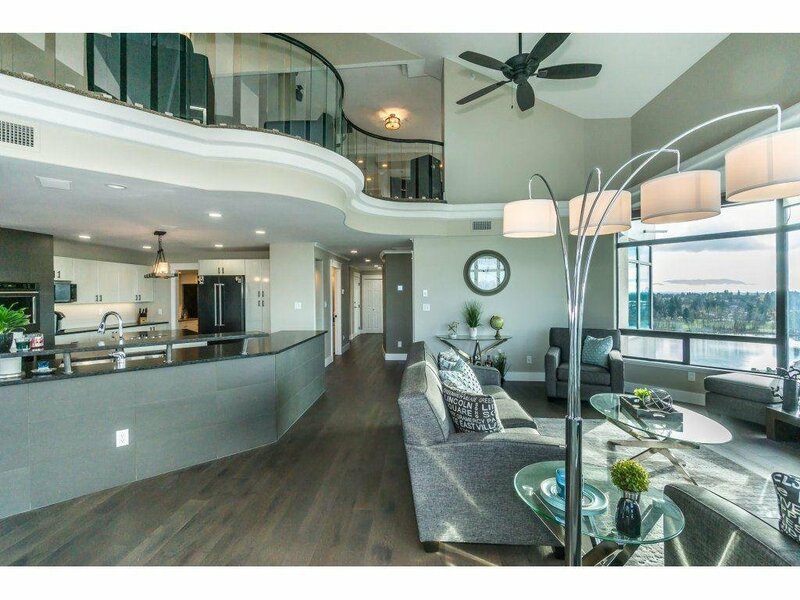 EXECUTIVE PENTHOUSE w/almost 3000 sqft. 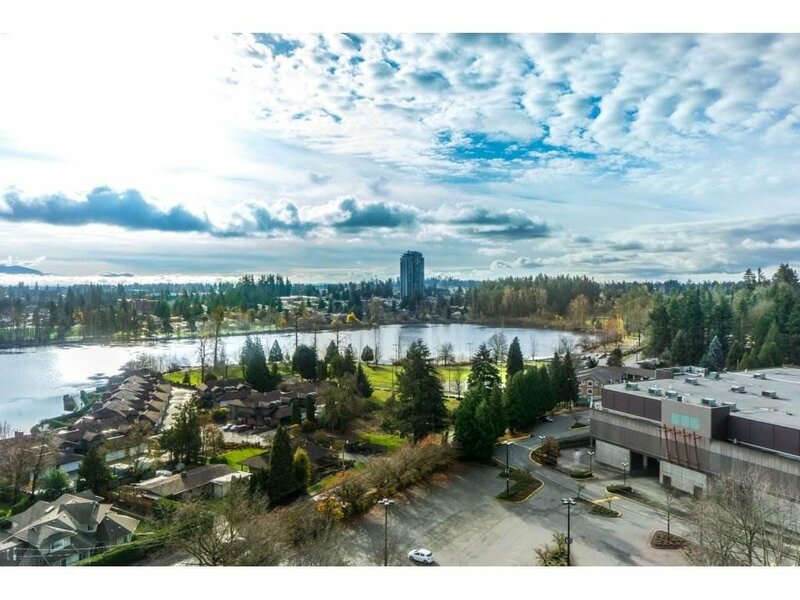 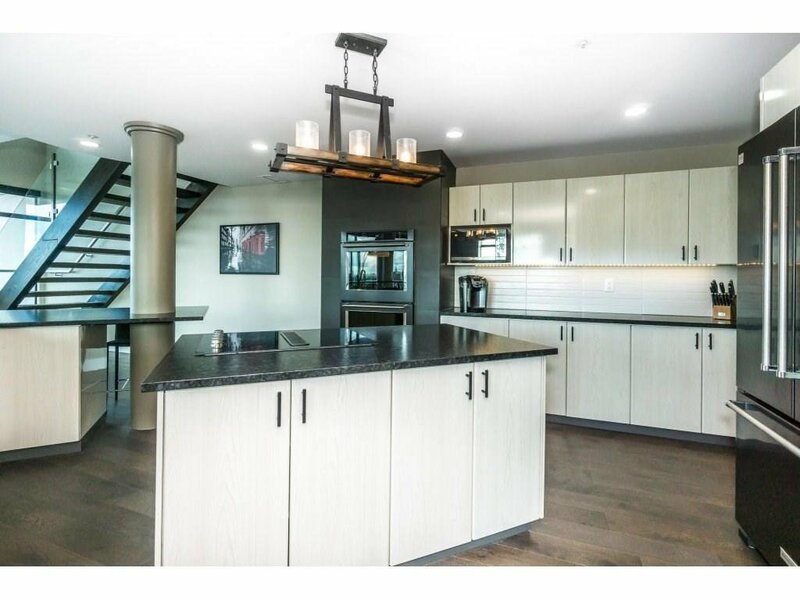 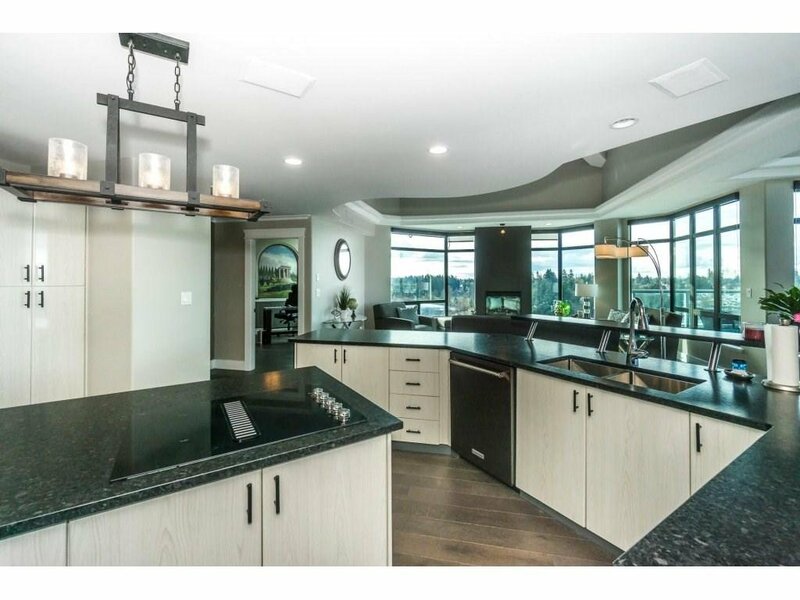 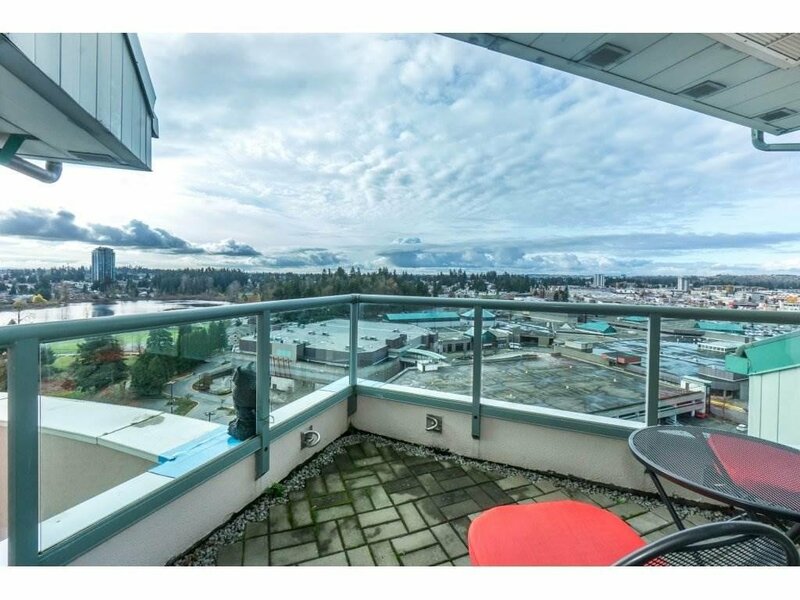 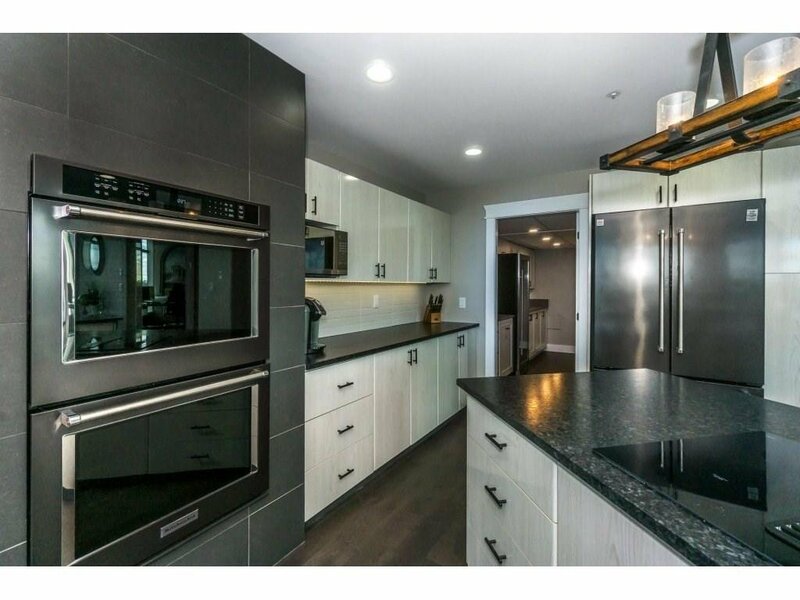 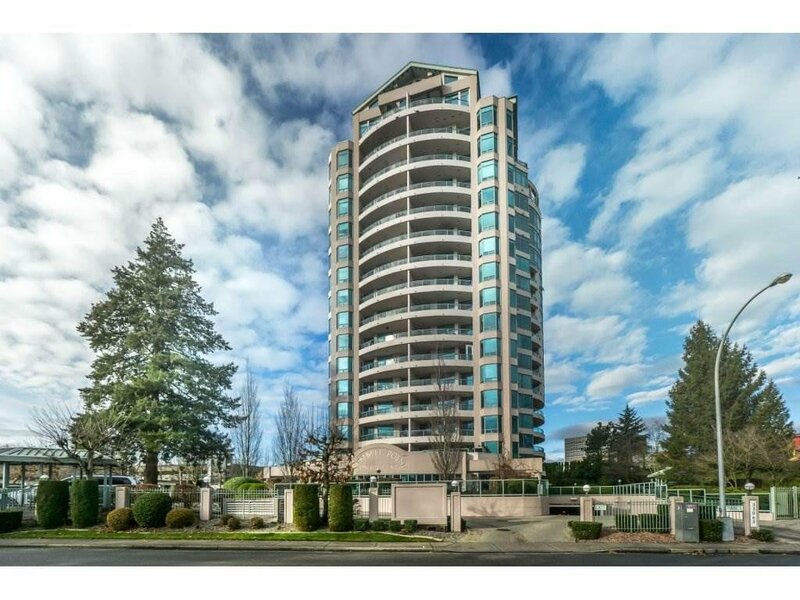 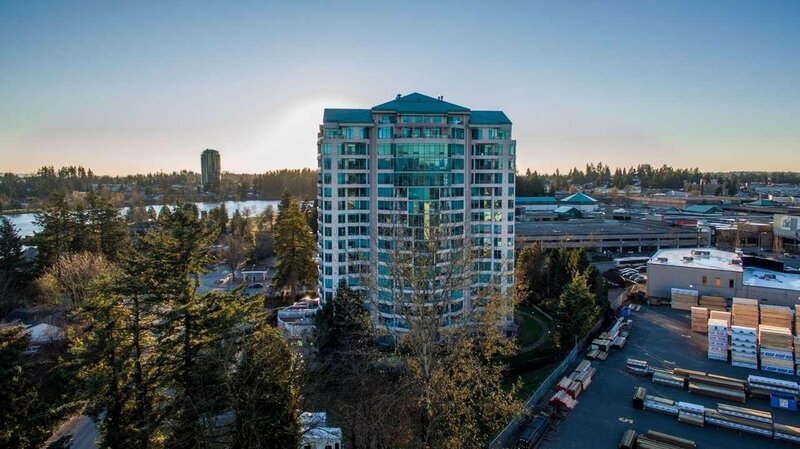 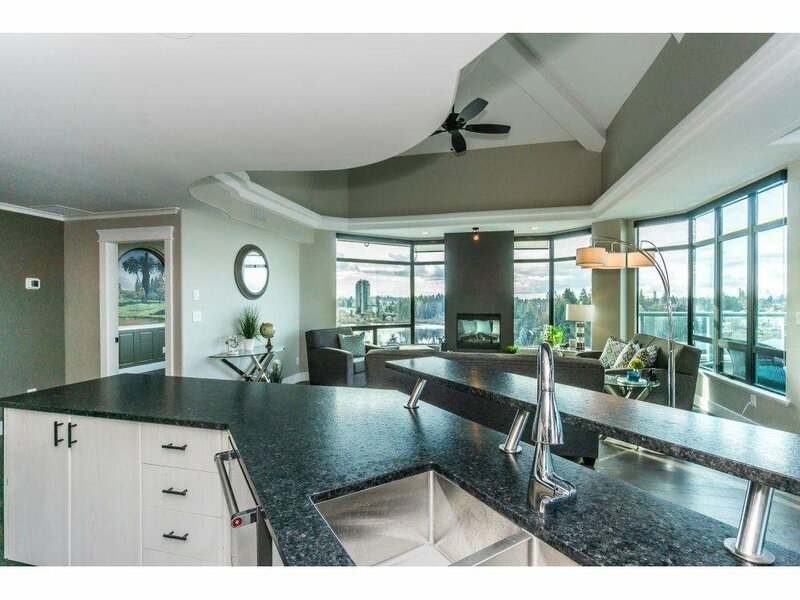 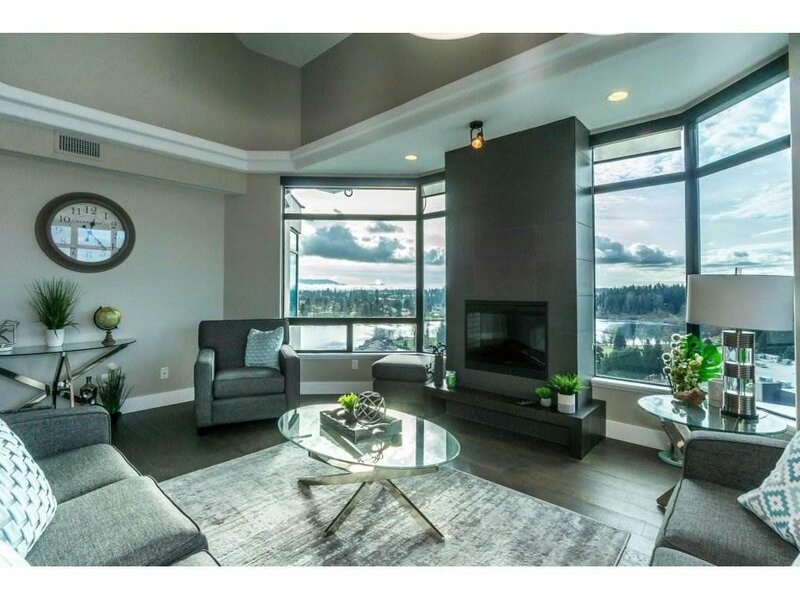 This Penthouse has been loaded w/ updates & has 2 bdrm plus den (could be used as a 3bdrm), 3 bathrooms, new appliances, new hardwood flooring & new paint throughout & just installed GRANITE counters. 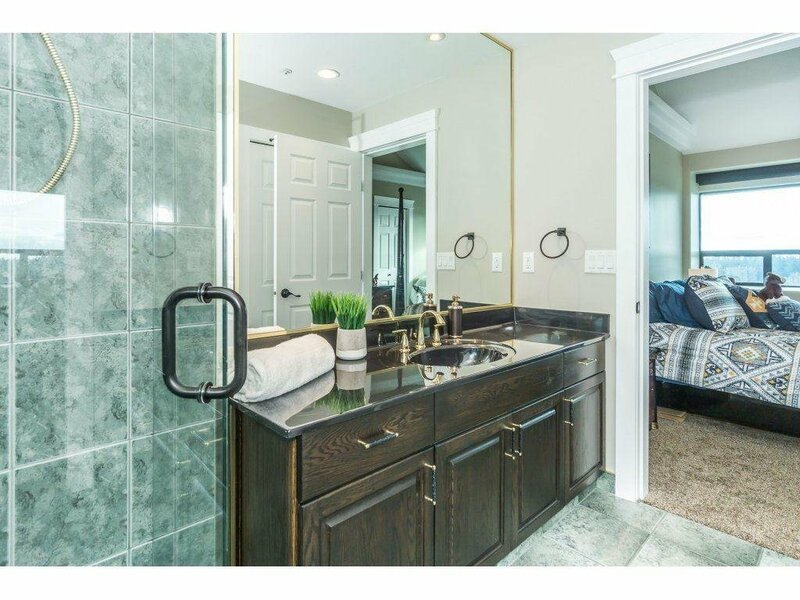 Spacious layout!!! 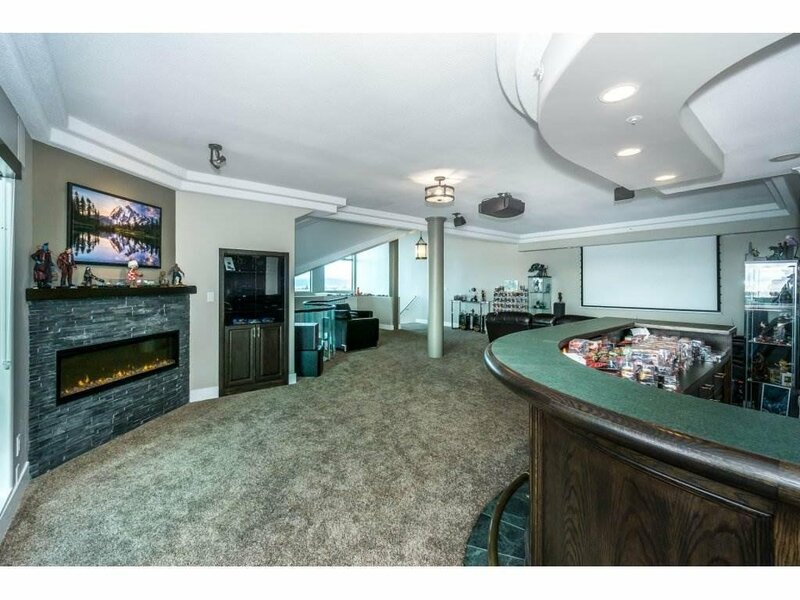 Upper floor is perfect for entertaining w/wet bar, drop down media screen, games rm & view to the lower floor. 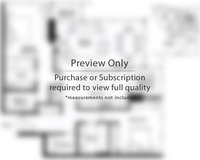 Features include: A/C, double wall oven, 2 fireplaces, 4 balconies, huge pantry, 2 wine coolers and large storage room. 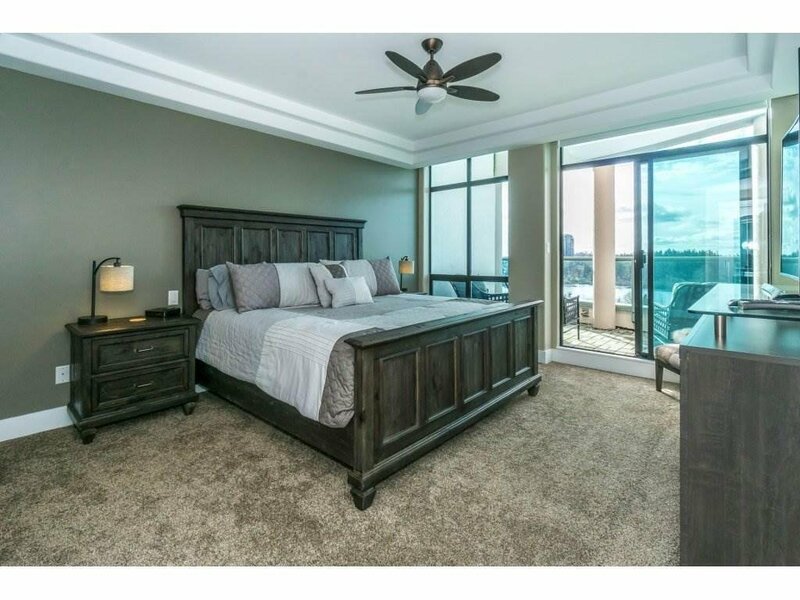 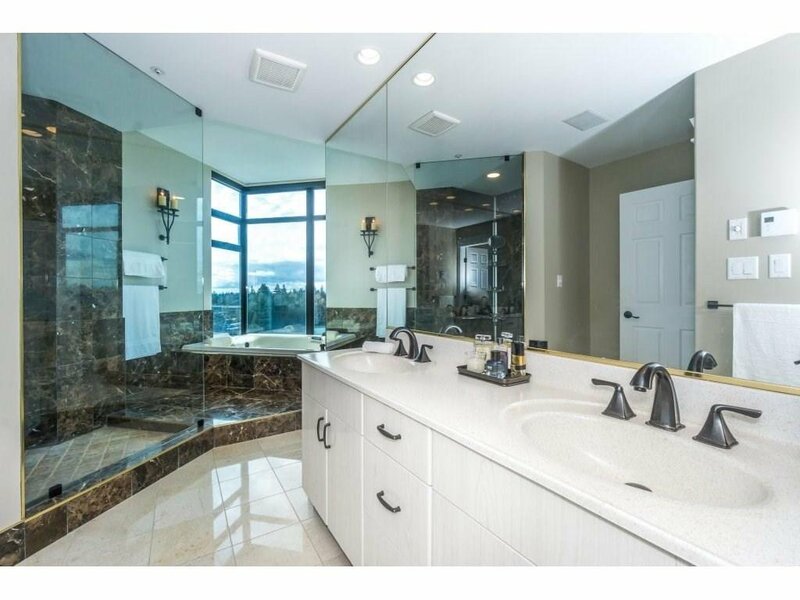 Master bedroom w/ spa like large en-suite w/lavish shower, tub & double sinks. 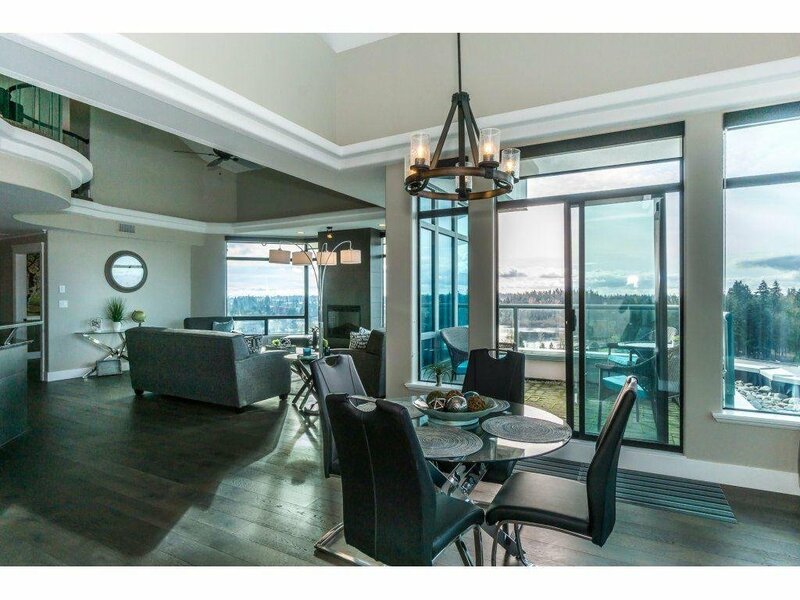 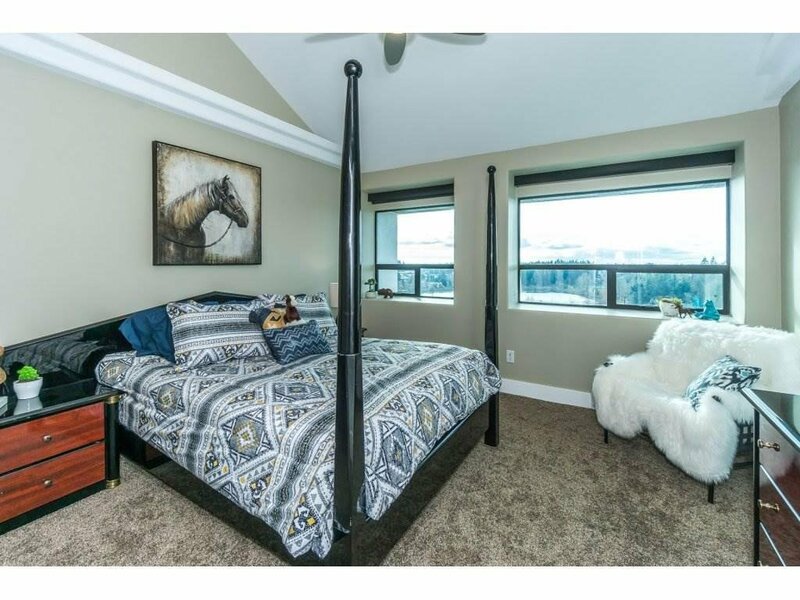 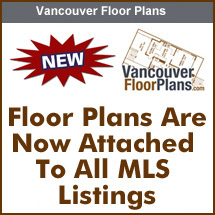 Stunning western views looking out to enjoy Mill Lake & the North Shore Mountains- unbelievable SUNSETS!!! 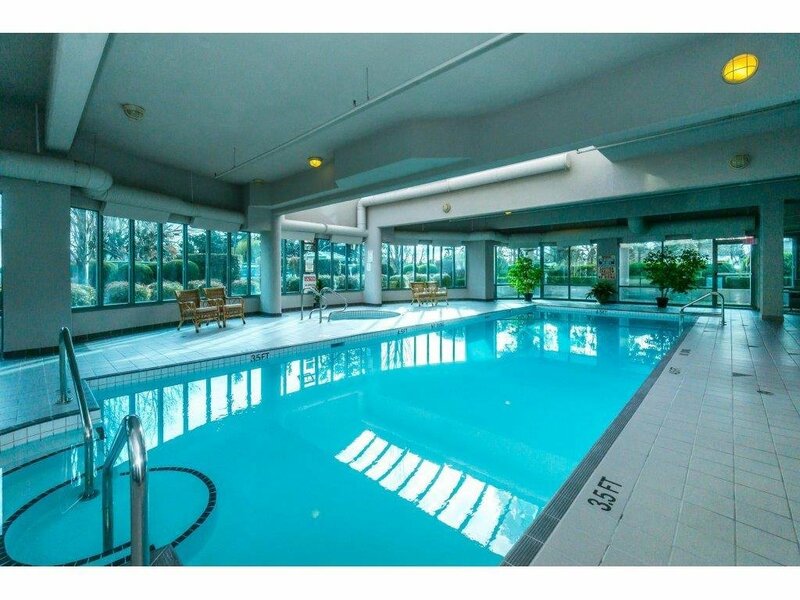 Also has guest suite, swimming pool, & 2 prime parking stalls.